Tamer Basar has been named the interim dean of the campus’s College of Engineering, effective Jan. 16. 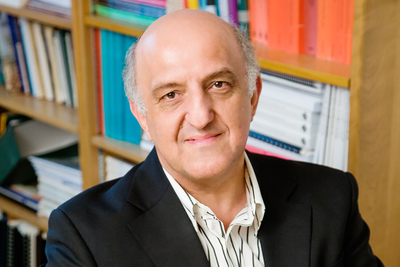 A member of the Illinois faculty since 1981, Basar is the director of the Center for Advanced Study and a professor of electrical and computer engineering. CHAMPAIGN, Ill. — Tamer Basar, the director of the Center for Advanced Study and a professor of electrical and computer engineering at the University of Illinois at Urbana-Champaign, has been named the interim dean of the campus’s College of Engineering. A member of the Illinois faculty since 1981 and a Swanlund Chair, Basar is an internationally renowned scholar, a member of the National Academy of Engineering and a recipient of multiple prestigious awards and honors from scholarly societies and universities. The appointment takes effect Jan. 16 and is subject to approval of the University of Illinois Board of Trustees. Engineering Dean Andreas Cangellaris, who recommended Basar to the interim leadership position, on the same date will begin service as vice chancellor for academic affairs and provost, also pending the board’s approval. A national search for the permanent dean will begin in the spring.